Work together for the greater good of each child. Collaborate and work together as a community. Support each other to sustain our passion and involvement. Eagerly seek new ideas and experiences. Share our learning with one another. Jenny came to us as our first paid Center Director in August 2015. 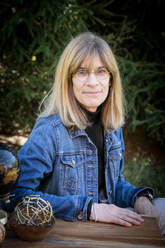 She grew up in northern Colorado, where she also earned her Bachelor’s of Science in Natural Resources Management at Colorado State University. Upon graduating, she took her first trip abroad, to Southeast Asia, where she began a career in community development and non-profit management that had her working on the Thai-Burma border, across 8 states of Appalachia (based in Beckley, WV) and in Rajasthan, India. Jenny also spent a number of recent years working in high-level management of a local marketing company, where she continued to hone her communication, administration and management, strategic planning, critical thinking and leadership skills. She brings those skills to our school as well as her passion for ensuring there is a viable educational alternative for her own son and the many children of Fayette County. When she’s not enthusiastically taking the NRGLC to the next level, she enjoys riding her road bike, being in the garden with her family, working to create functional local food systems, and thinking about ways to bring inspiration and hope to her community at large. Therese Ehrnschwender has been involved in teaching and learning her entire life. Sometimes she’s the one soaking up the learning, other times she’s sharing her understandings with others young and old. Therese has always wanted to be a teacher. She earned her elementary teaching degree at Miami University in Oxford, Ohio and her Master's degree in Curricular Design and Instruction at Cleveland State University. She also trained as a Reading Recovery teacher at Marshall University Graduate School. Therese has been engaged in education for 38 years. Some of those years were as a classroom teacher primarily in K-2, others as a Title One teacher, and still others as the Literacy Specialist for Fayette County Schools. She is happiest when she is in the classroom. She was introduced to NRGLC in 2012 when asked to join their board. In this role she worked with the teachers to problem-solve and identify ways to support and extend the students’ learning. She retired from public education in 2017 and applied for a teaching position as NRGLC because she believes in the school’s mission and vision. She spent this past summer under the tutelage of Aimee Rist and Mariana Primavera and reading widely to build her understanding of Montessori theory and practice. She looks forward to all she will learn from the students, teachers, and parents of NRGLC in this next chapter of her teaching and learning life. Mariana Primavera is a native Argentinian, born and raised in Buenos Aires. She attended the University of Buenos Aires, studying biochemistry. After college, she worked in administration for an insurance firm for 8 years before moving to the US in 2008. In Fayetteville, she began working as an in-home childcare provider for various local families. One family that she worked with practiced positive discipline and Montessori education at home. Impressed with the results in their children, she went on to learn more about its methods and philosophy, first through the families that practiced it, and shortly after, firsthand through observing and volunteering at the NRGLC. In addition to teaching, her primary interests include rock climbing and travel. Her favorite thing about teaching--acquired from 8 years of rock climbing instruction, and applied education in general--is to pass on skills and knowledge that she is passionate about in a way that makes the student feel the same passion. Caitlin grew up in Roanoke, Virginia, and graduated from Virginia Tech with a Bachelor of Science in Natural Resource Conservation and Recreation Management. Her Montessori journey began at Roanoke Valley Montessori School, where she worked in the infant room and began to learn about the philosophy. Her passion for nature and the outdoors brought her to Fayetteville, WV, where she was introduced to the NRGLC. She received her Elementary IMC Montessori Certification from the Center for Guided Montessori Studies in 2015. The 2017-2018 school year is Caitlin's fifth year of teaching. Caitlin enjoys stand-up-paddle boarding, rock climbing, knitting, photography and just being out in nature. She hopes to share her love for our environment with her class and to spark curiosity within them. Stephanie grew up in Fayetteville and attended both Marshall University and New River Community and Technical College, studying elementary education. She found her passion as a childbirth educator, which she has done for 6 years, serving many families in the Fayette County Community and beyond. Stephanie is also a doula and a midwife assistant, and has attended numerous homebirths, acting as an indispensable support system for expecting mothers. Three years ago, Stephanie began homeschooling her three boys. During her research of teaching methods, she learned more about the Montessori methods and the uses of different tools that are implemented. The 2017-2018 school year is Stephanie’s first year at the NRGLC. Additionally, Stephanie and her husband operate a small homestead farm in Fayetteville, complete with a large garden and many animals. Stephanie also enjoys photography and being outside with her children. 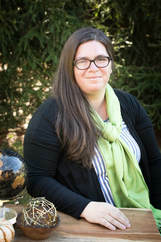 Kyla Hilton first became interested in learning about Montessori philosophy when running book fairs at Montessori schools in West Virginia and Delaware. Her interest and knowledge grew when her son began attending Charleston Montessori in 2012. Over the years, as her children attended the school, Kyla learned more about the Montessori method. Her frequent visits to the classroom and self-motivated study allowed her to continue using this method when her family moved to Beckley in 2016, and she began homeschooling. Kyla’s many interests stem from her love of education and building community. She studied Sociology and Anthropology at Earlham College in Richmond, Indiana. Most recently, she taught preschool in Charleston for children between the ages of two and three. Kyla’s a seasoned bookstore manager. 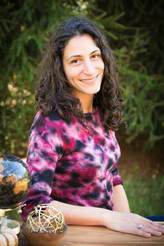 She’s also a certified doula, birth assistant, lactation counselor, and childbirth educator. In this capacity, her teaching has centered on assisting families throughout pregnancy and into postpartum life. Kyla’s favorite subjects in the classroom are history, geography, and practical life. Outside of school, she enjoys exploring, cooking and baking, and learning home repair. Michael came to Fayette County in 2017 and has quickly fallen in love with the beautiful natural features of the area and the connected vitality of the town of Fayetteville. He’s excited to bring his experience working with children for his entire adult life to NRGLC. Michael began his career as a Training and Developmental Therapist, working with severely mentally ill children at the Anna Philbrook Center in Concord, NH. Coordinating with professional treatment teams, he planned and facilitated therapeutic group activities, teaching children coping skills and helping them achieve treatment objectives. After receiving his degree in Language Arts and Experiential Education from the University of Massachusetts in Amherst, MA, Michael began teaching at the Pioneer Valley Performing Arts Charter Public School in South Hadley, MA. During his six years there, he became skilled in integrated STEAM practices, blending visual and performing arts with academics to create memorable educational experiences in classrooms as well as in nature, on stage, and in the community. He wrote $20,000 worth of grants for the school in 2014, one of which allowed for the creation of an organic garden which fed students and provided for a local food shelter. Coaching the school’s only competitive sports team--a mixed-gender Ultimate Frisbee team-- Michael quickly redesigned the program to establish equal opportunity for female players, building distinct Boys and Girls Varsity and Junior Varsity teams. Female participation grew from 5 to 40 players. Michael was promoted to Athletic Director where he initiated a multi-faceted fundraising program which sustainably funded the entire cost of equipment and maintenance, while also covering team dues for students of low-income families. Michael spent seven summers as Staff Trainer and Lead Counselor at Morse Hill Outdoor Education Center in Shutesbury, MA, becoming a certified professional-level CPR, First Aid, and Lifeguard instructor. 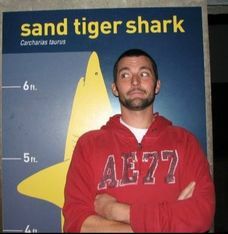 While training staff in outdoorsmanship and facilitation skills, Michael used his Experiential Education background to teach techniques required to help children climb, bike, boat, hike, and work together to achieve “Eureka!” moments that create lifelong memories. Michael is an avid musician and loves the outdoors, climbing, cycling and reading. 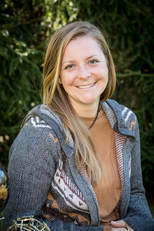 Veronica, a Fayette County native, began teaching in 2013 for children’s outdoor adventure and experiential learning camps throughout New England. 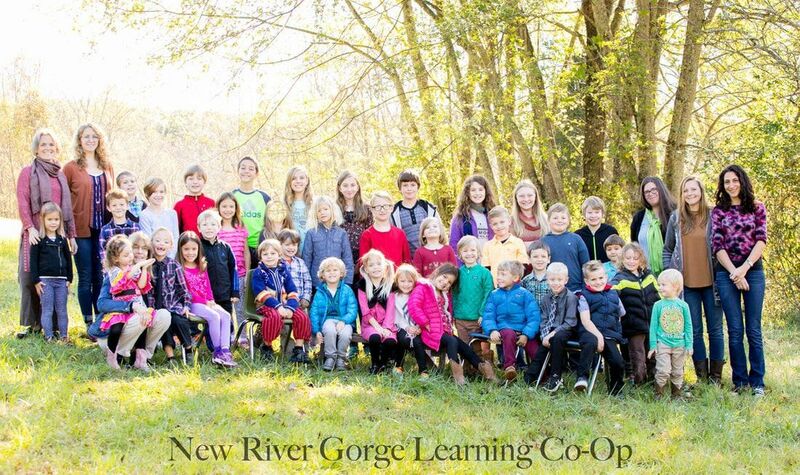 She first came to the New River Gorge Learning Co-op to volunteer as an Assistant Teacher in the Children’s House before taking an administrative position with a small study abroad program. She eagerly returned to the NRGLC when she heard the school was looking for an AmeriCorps VISTA. Veronica graduated with a B.A. in Political Geography from Mount Holyoke College. She has completed land management and conservation research in multiple parts of Kenya, training volunteer researchers and facilitating environmental education clubs for local youth and adults. The curiosity and creativity that came to life within those clubs changed Veronica’s focus from field research to education. She has worked in education in some capacity ever since. Veronica loves spending her free time outdoors: horseback riding, road biking, trail running or simply hiking with her dog Gnarly. “It’s all living and connected,” are her words to live by and she loves seeing this maxim echoed in the values of the NRGLC. Allison grew up near Winterplace Ski Resort in Ghent, West Virginia, and earned a degree in Elementary Education at Concord College in Athens, WV. Her first decade of teaching was in Georgia, where she taught for 11 years at the Kindergarten, 3rd grade, and 5th grade levels. In that time, Allison was awarded Teacher of the Year in 2013 and a STEM (Science, Technology, Engineering, and Mathematics) certification. 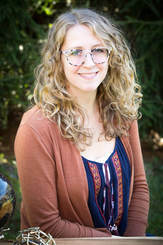 She was also chosen to be a part of the Teacher Leader program for Coweta County, GA.
Allison became interested in Montessori education when she observed family members attend and graduate from Montessori programs in Atlanta. 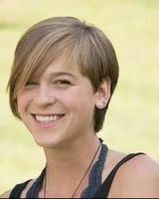 Now very happily back in West Virginia, Allison has joined NRGLC for her 12th year as an elementary instructor. And now serves as the school’s classroom and curricular advisor. She believes in the power of education and loves helping create thoughtful, aware children who will grow up to make our community and world a better place. When she is not at NRGLC you can find Allison hiking, skiing, rafting, and traveling.